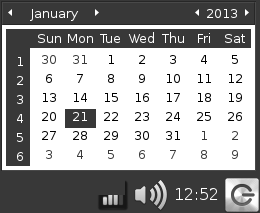 LXPanel, is a default panel on LXDE desktop. Some post ago i write about window list/task bar Box style icon on LXPanel, on this post i want to share more about LXPanel. Okay, Let's know more about LXPanel. 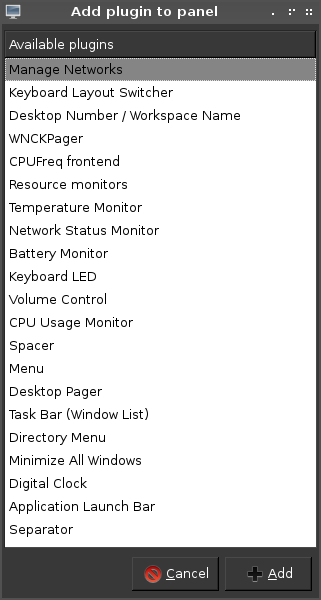 If you right click on panel, on item, or elsewhere on panel (except system tray) there will show menu, for this example i right click on task bar. To remove item quickly simply click on remove menu. To add/remove more item click on add/remove panel items. Here's the menu of Add/remove Panel items. To arrange items, simply click on item, then up to move on left, down, to move on right. 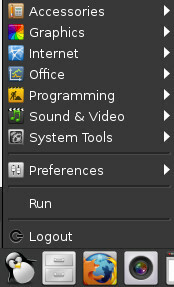 If you right click on LXPanel, Then click on "Menu Settings" you can change icon start menu easily. 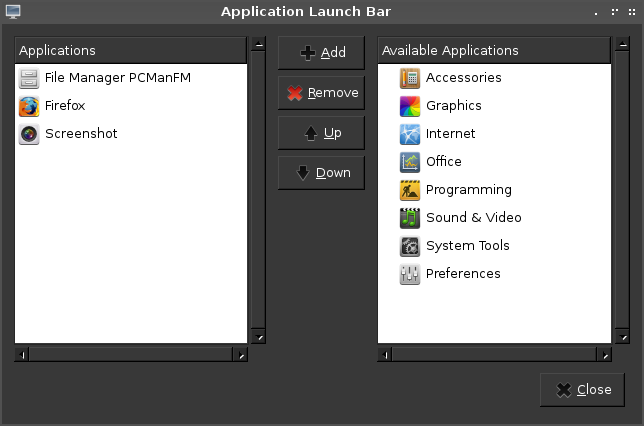 This is for quick application launcher. By default it's available besides of start menu. This is for switch application to another, i was post about it before, you can see more here. This places, for placing Network Manager, Wicd, pidgin, messenger apps, etc. But on clock/calendar settings, there's no option to change the time/date. You can use this methods to change time on archlinux. Ok above item is the standar default panel, to add more items. 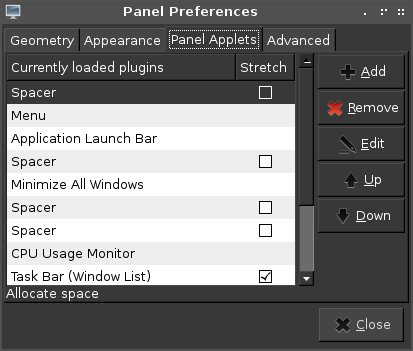 You can see the panel preferences (see above about LXpanel basics) choose add. 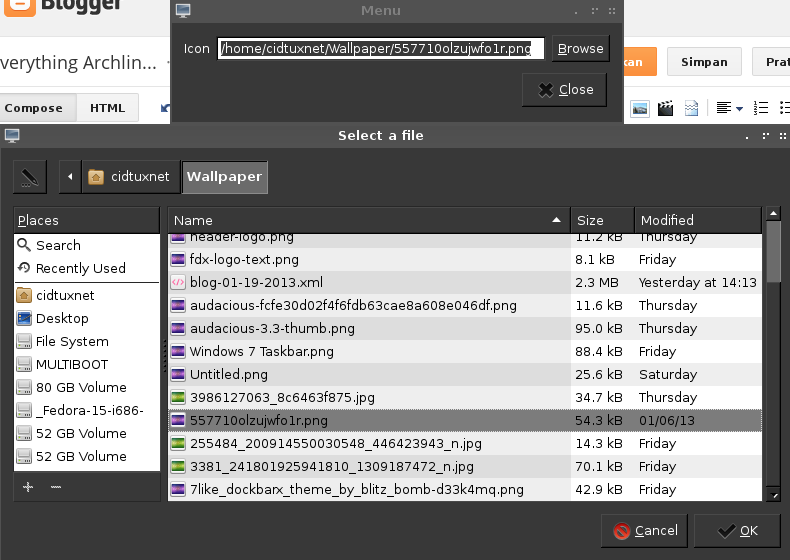 Choose that you like, then enjoy LXPanel on LXDE.